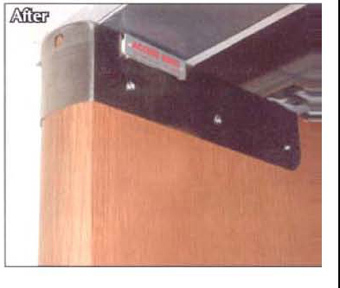 Need to repair a split door around a flush bolt or floor spring pivot? – Holdfast is now a distributor for the Systembox range of pivot and flush bolt protectors. 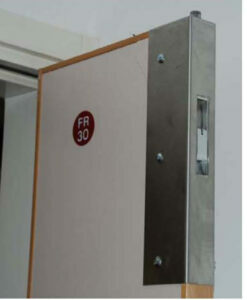 Designed to hold the door together firmly around the damaged area they offer a quick and effective solution to damaged doors. 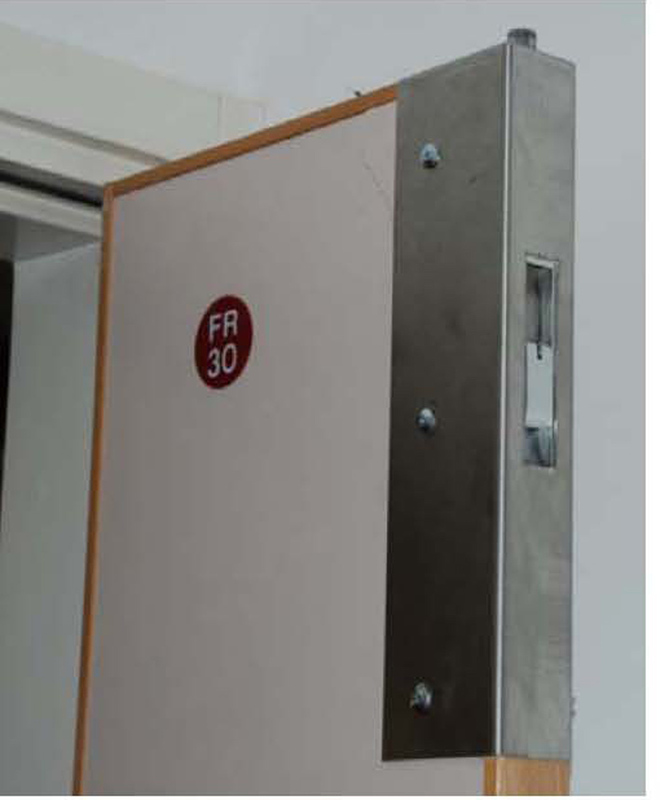 With protectors available for 44mm and 54mm thick doors, with 30 and 60 minute fire ratings they’re ideal for all types of doors. 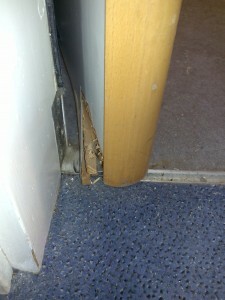 In the pictures below you can see the sort of damage a door can suffer followed by pictures of the pivot protector and flush bolt protector – if you want to know more why not give us a call on 01270 505902? 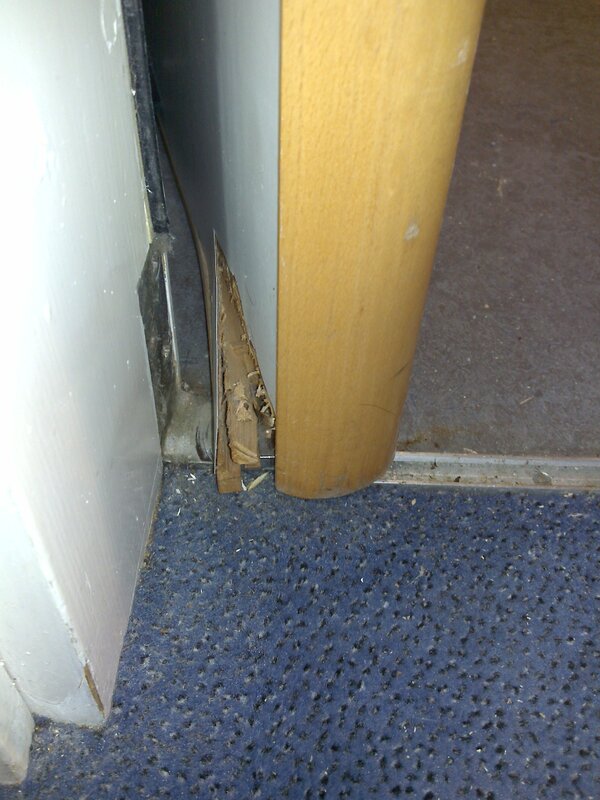 This entry was posted in Door hardware, News and tagged Door Repairs, repair shoes for damaged doors, split door repairs.